Trash is a good card game for young kids to help them learn counting skills. 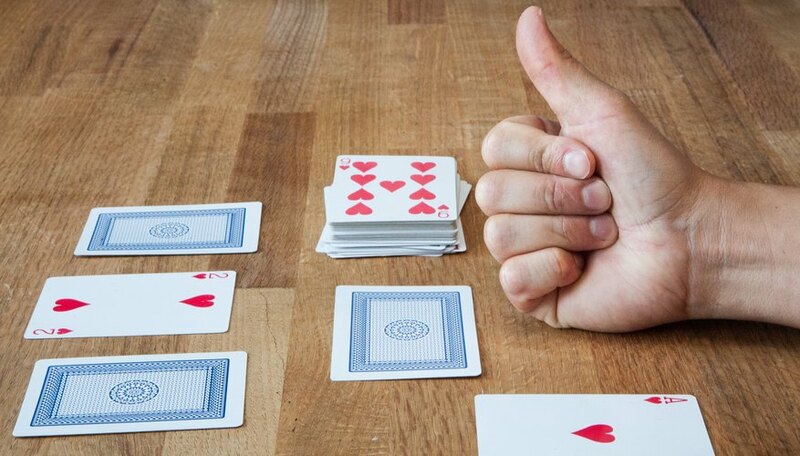 It's a game where players are dealt cards in front of them and they try to get rid of them all by drawing cards and assembling them in front of the players in numeric order, gradually reducing the cards they have with each round. 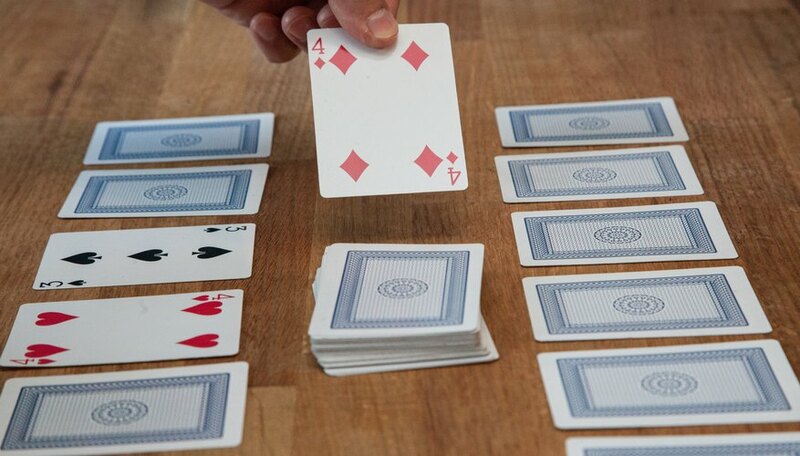 Each player is dealt eight cards in the first round. They lay these cards in a line to represent the numbers one through eight (Ace representing one). The remaining deck is placed in the middle. The first player draws a card from the deck. 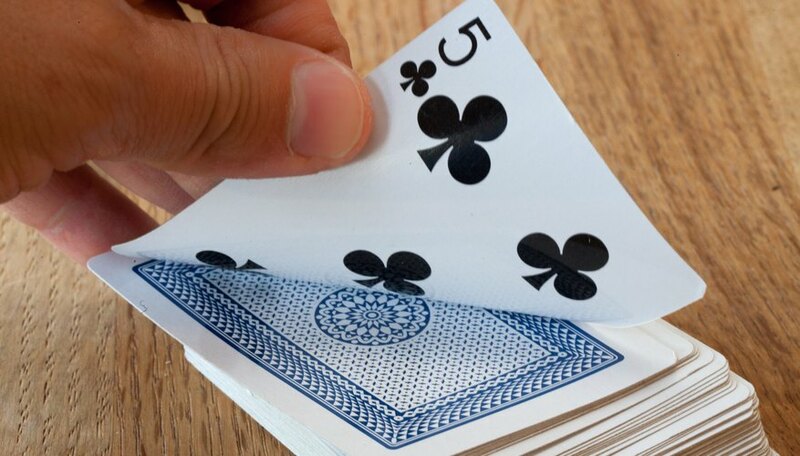 If it is an ace through an eight, the player lays it face up in place of the card corresponding to that number (a four replaces the fourth card in line). If the card he draws from the line is an ace-eight, he places it in the appropriate spot. When a player draws a card he can't play (a number he's already played or a nine through a King), he discards that card near the deck. 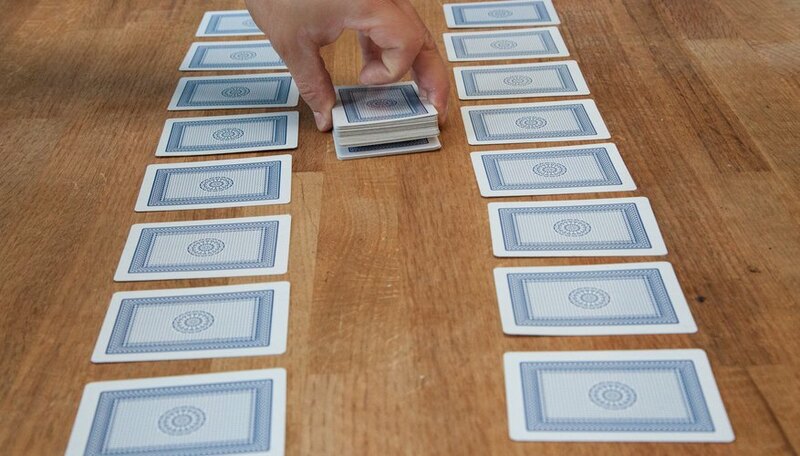 For all the remaining turns, each player can draw from the deck or discard pile. 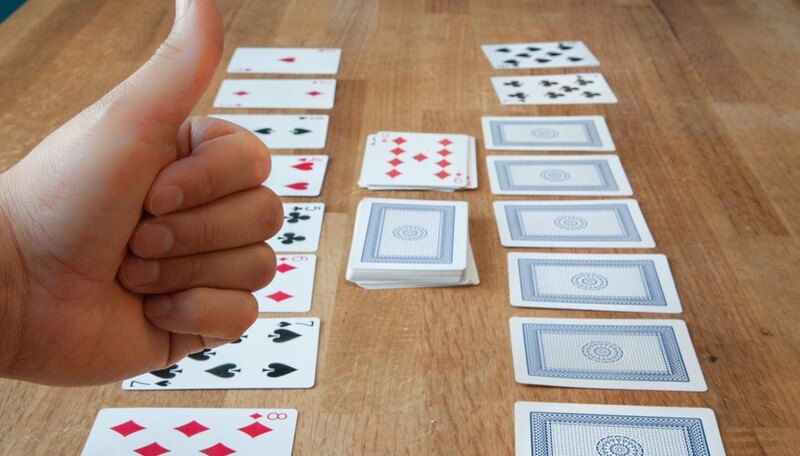 When a player has assembled all cards ace through eight in front of him, he wins that round. The deck is reshuffled and dealt again, only now the round winner only gets seven cards and only has to assemble Ace through Seven. 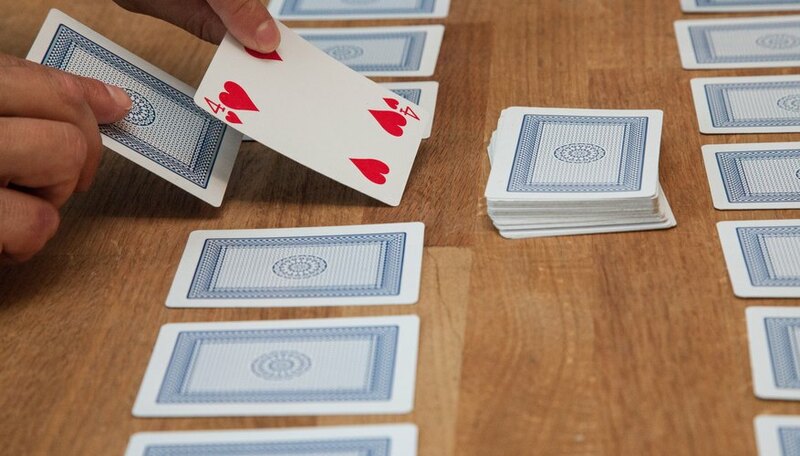 Play continues until one player only gets one card in front of him and draws an Ace. That player wins the game.